Half of all mental illness begins by age 14 and on average it takes eight to 10 years, from the onset of symptoms to a diagnosis. These are critical developmental years. 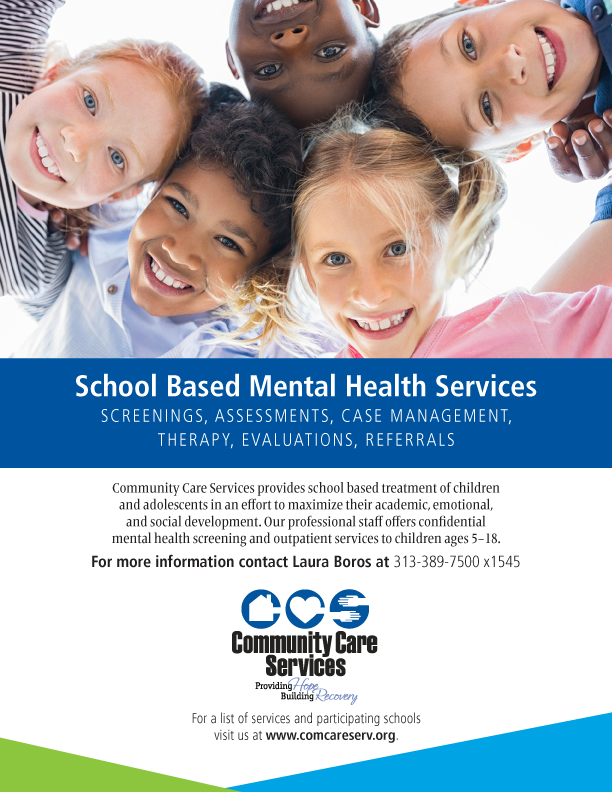 When children living with mental illness have access to services they are more likely to develop educational and social experiences they need to succeed in life. 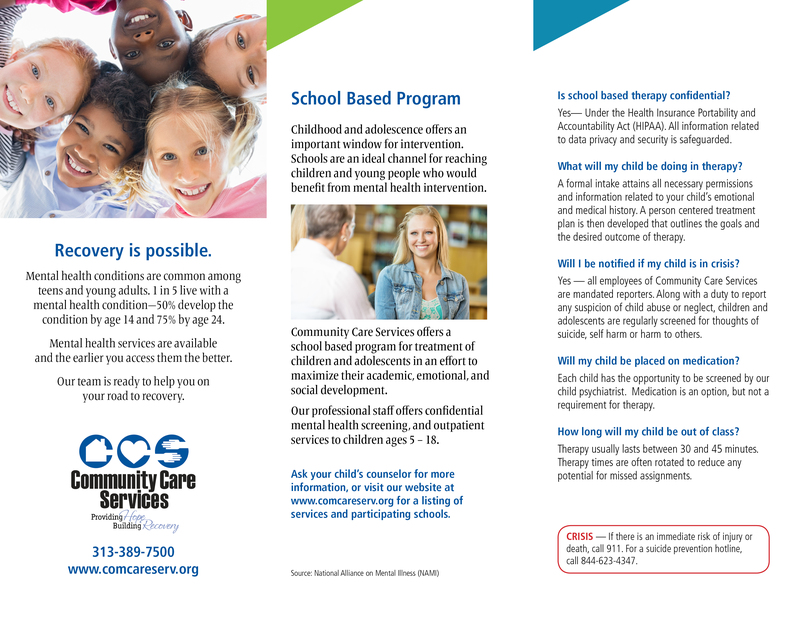 Referrals to the school based program often come through teachers and staff, but parents and children over the age of 14 can request to meet with a CCS clinician to determine if services are right for them. 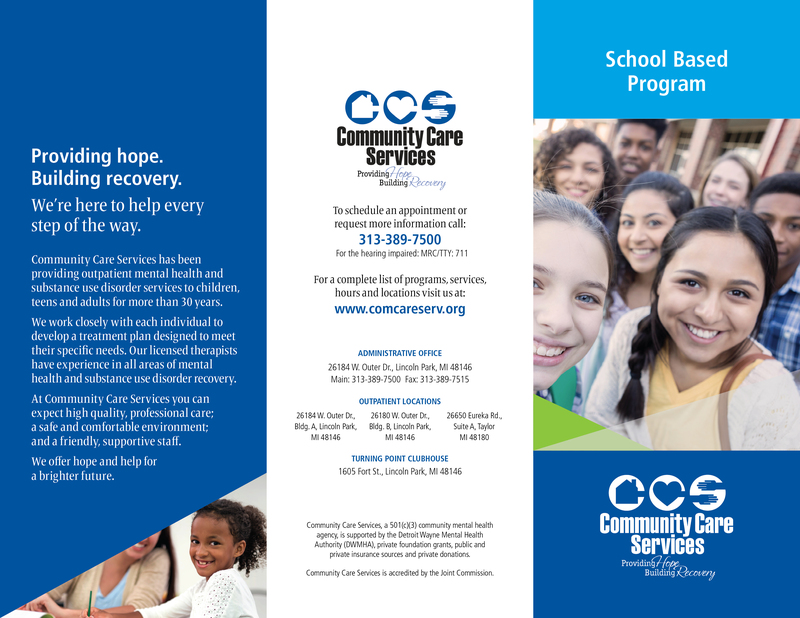 If your child’s school does not have a CCS therapist onsite, our agency outpatient services are an excellent option. 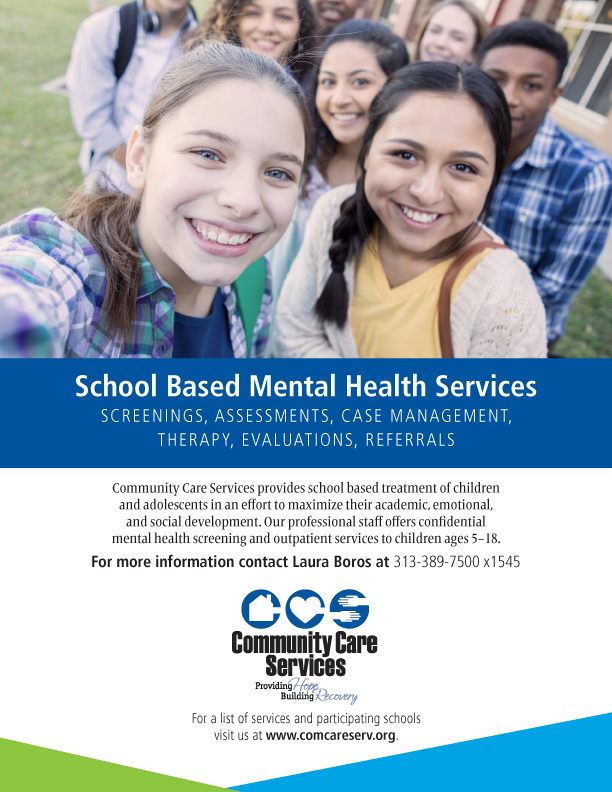 For more information, please contact Laura Boros, School Based Coordinator at 313-389-7500 x1545 or email lboros@comcareserv.org. Click below for upcoming school based program activities and resources.